When Veronica Mars came onto the screen originally in 2004 I was 16 years old, and turned 17 during the duration of the first season. We were then, roughly the same age which means when the show was cancelled, during both hers and my first year of college I was crushed. Of course we had nothing in common. I’m a brunette. She’s a blonde. She lived in the seedy little town of Neptune where the rich ruled and the poor…well they didn’t didn’t do so well. But she, unlike a lot of female characters at the time, was someone who I wanted to be like. Sure she could be rude, and tended to blaze forward without thinking of the consequences but she always stood for what she thought was right, whether it had to do with her friends or a complete stranger. When the movie came about, a near seven years after the show’s cancellation I was thrilled. When the first book came out I bought it and read it in a few mere hours. Veronica is 29 now. Suddenly she’s two years older than me, but like myself and so many other’s my age she’s still a little bit lost. Her relationships have either flourished or fallen, and Neptune if possible is seedier than ever, the underbelly making its way to the top and aided by the Sheriff (and isn’t that always the way). But what remains consistent, from TV show, to movie to books is Veronica’s voice, and it rings pretty clear. The characterization is cohesive with who she was on the show, to who she became in the movie. Mac’s expanded role is something to smile at, though certain other characters minimized showing in the book did cause me some concern. 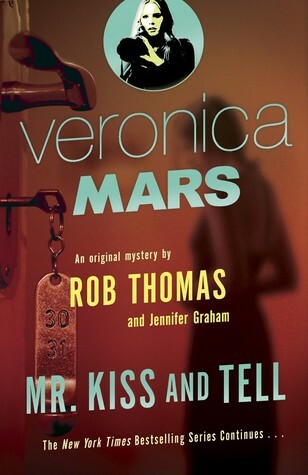 But either way, this book is exactly what I want Veronica Mars to be, feisty, determined, dangerous reckless, and as always…smarter than me. And everyone else in the room. It is not a perfect book, as there are always flaws, just as there are in our heroes. But there is justice…and there is uncertainty.